"Michael Newberry & Provence Art Experience Pastel Painting"
We will be following in the footsteps of Cezanne and Van Gogh, eating well, painting nature, traditional French style gardens, and authentic Provencal homes. I will be teaching plenty of pastel painting/drawing techniques suitable for the most advanced artist to add to their color/light theory, drawing skills, and composition savvy and they will be basic enough to ground the beginning artist. Our organizer and guide, Mathieu Brousses, is a local, dad and husband, fluent in English and he will gladly address any concerns you have. 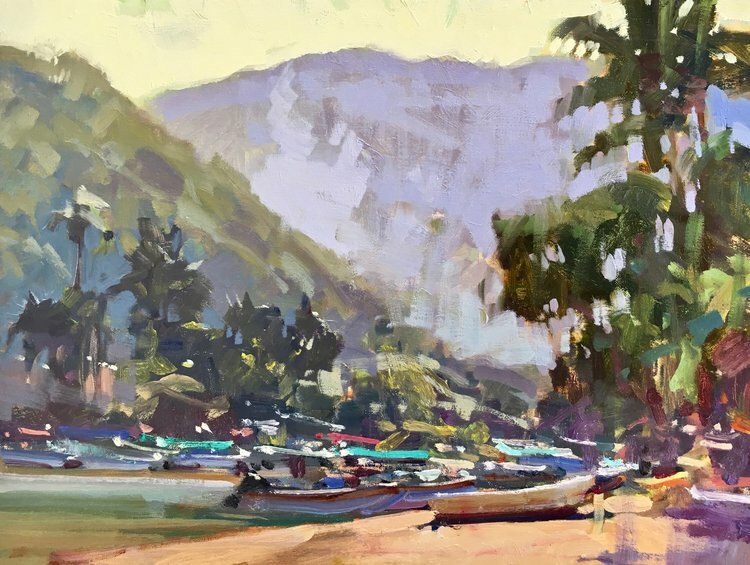 "Plein Air / Studio Travel and Painting with Kathleen Mooney"
Travel and Painting! One to 6-day workshops in beautiful locations where the road ends and the big water (or mesa) begins! Water Media and Abstract landscape / seascape painting for painters who dream of capturing lasting personal impressions for enduring memories. Suitable for Beginner or Advanced painters. Decades of Studio, Plein Air and Teaching combined with over 20 journeys to North Atlantic Europe - Mooney shares the hidden gems and vast vistas of endlessly fascinating Ireland, Iceland, Scotland and England. Add Georgia O'Keeffe's Ghost Ranch in NM and you have the perfect recipe for Travel and Painting! Headquartered in Lowell, Michigan you will also find Kathleen's relaxed and enjoyable workshops in "Pure" Michigan locations of incredible beauty. At Cristi Fer Art Gallery and Workshops in San Miguel de Allende, Mexico. May 1, 2, 3. This workshop is designed with the self-taught painters in mind, individuals who want to understand better a structured abstract, loosen up, experience how it feels to paint big. In the context of a large painting 1m x 1m learn the basics of abstract painting, the importance of good composition, attributes of color, texture, emphasis on easy concepts to get started, and how to get inspiration. Instructor: Cristiana Marinescu has been teaching since 1989 in US and Mexico. Leading successful workshops and inspiring and empowering artists at all levels of experience. Only 4 students per workshop. "Painting in Spain: Watercolor Painting Workshop"
I am very passionate about sharing my creativity and art with others and helping them gain access to that part of themselves, whether they are a beginning artist or a seasoned professional. Painting on location is the best opportunity to learn and Mother Nature is the best teacher but we need good guidance and support to learn the optimum rate. It can be overwhelming with so many senses being stimulated but I will give you the tools you need to simplify what you see and break it up to manageable shapes and values. We will build on those strong foundations and learn about colour mixing, colour harmony, colour temperature and mood to help express yourself fully and paint what you really feel. "Painting in Provence: Watercolor Painting Workshop"
Being immersed in the gorgeous scenery of Provence, France, we’ll be capturing its beauty and light through Plein air painting in Watercolor. Using painterly, impressionistic brush strokes, we’ll focus on capturing the luminosity of the city’s colorful areas throughout the day. Students will learn the “how tos” of seeing light on form, understand temperatures of light and shadow and work with values and edges for creating depth in their inspiring paintings of France. We’ll return home with memories of this amazing painting experience as well as painting sketches that will affect our painting styles and gain inspiration for future work. "Painting in Spain: Watercolor Journaling Workshop"
Come along with me to Spain for a week of painting Barcelona and the Costa Brava. All the logistics will be taken care of – all you have to do is relax and enjoy as we sketch pristine shorelines, craggy cliffs, sandy coves, medieval villages, white-washed houses and flowers from a botanical garden. In Barcelona, we’ll visit the fascinating Dali museum and attend an unforgettable flamenco show. And we’ll capture these once-in-a-lifetime experiences on the pages of our travel journals. Our focus throughout the tour will be on illustrated watercolor journaling. I’ll share my sketching process from start to finish and offer daily demonstrations of techniques for painting the subjects you’ll encounter each day. "5 paintings in 5 Days"
Great workshop for all levels of artistic experience! Intermediate artists discover your favorite painting style, experienced painters loosen up rekindle your inspiration, beginners learn the basics. Explore abstract mixed media, expressionist and realistic painting in acrylics. Incorporate all there is to know about composition, color and brush/ pallet knife strokes. Fantastic painting vacation in San Miguel de Allende, Heart of Mexico, enchanted Colonial town and artist Mecca of Mexico. Bring your group of 6 participants and receive group rate. Learn from internationally renowned painters, owners and founders of Cristi Fer Art Gallery and Workshops since 1989. Maximum 9 per workshop. "Keeping a Travel Journal: Word and Image in Tuscany"
There is no better way of knowing and remembering what a place is really like than by drawing and writing. Our affection for the earth-toned architecture, the winding cobbled streets, the smell of incense in mysterious interiors of churches, the taste of culinary delights, overflowing textures and colors of the street markets, a late afternoon latte at a sidewalk cafe are just a few of the delights of carrying a sketch journal while traveling. Slowing down and taking it in, and filling the senses is all that is required. So, with our simple tools of paper, pencil, pen, and watercolors we will breathe in its historic charm in word and image. "Painting in Provence: Art Journaling Workshop"
Join Jacqueline Newbold on an artistic journey of creative expression! We will incorporate watercolor and mixed-media art journaling techniques as we explore Provence, rich with sights, sounds and colors – all wonderful inspiration for developing your artistic eye. The local colors will inspire us as we play with luscious ochres and rich gem-tone colors from the surrounding landscapes. Jacqueline will share her favorite ideas for creating paintings-on-the-go using watercolor washes and mixed-media ideas. Discover how magically enjoyable it is to record your life voyages as you slow down and savor your time in France. This workshop is available for all levels – beginners and experienced artists are all invited to come along on this delightful journey! "Paint the wonders of Albania!" For the 4th year running, our base will be in Saranda in the South of Albania from where we have daily excursions to places of interest. We visit the ancient city of Gjirokastra which offers some magnificent views from the hilltop. The turquoise waters around Ksamil beach will make you feel like you are on a postcard-perfect island somewhere in the Pacific. At the end of the land we find ourselves surrounded by the inspiring ruins of Butrint National Park. All this while enjoying local delicacies served with a very warm hospitality of our local hosts. Join Manolo for a unique experience, a week of watercolor practice with the master of explanation and gentle encouragement. You really do not want to miss this fabulous opportunity, not only for the art but enjoy the incredible gardens of Las Orquideas at what is probably their finest month. Designed with an artists eye, with numerous quiet shady places amongst the terraces of geraniums, bourganvillas and palms, a wonderland of inspiration and relaxation, overlooking the mountains of the Sierras Mariola. Manolo will hold nothing back on this workshop and will share with you the principles of his artistic talents. Whatever your level of experience you are certain to enjoy and learn from Manolo's style of teaching. 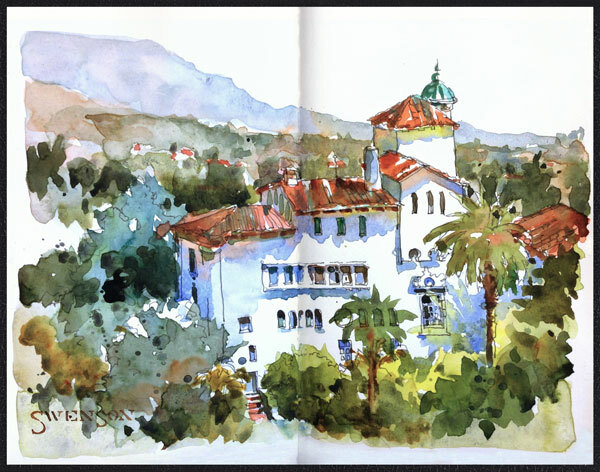 "Painting in Spain: Travel Sketching in Watercolor"
Join me for sketching on-location in beautiful Spain! Learn to capture your experiences on paper, and more important, in your mind and heart. The process of drawing imprints what you see into your brain in such a way that years from now, the sounds of the people walking by, the scent of the rain, the feel of the warm air, and much more will all flood back when you look at your sketch. In this workshop, we’ll focus on quickly capturing buildings and spaces, as well as skies, trees and water. I’ll do lots of quick demos and provide hand’s-on guidance as you sketch and paint the beautiful scenes of the Spanish coast and Barcelona. 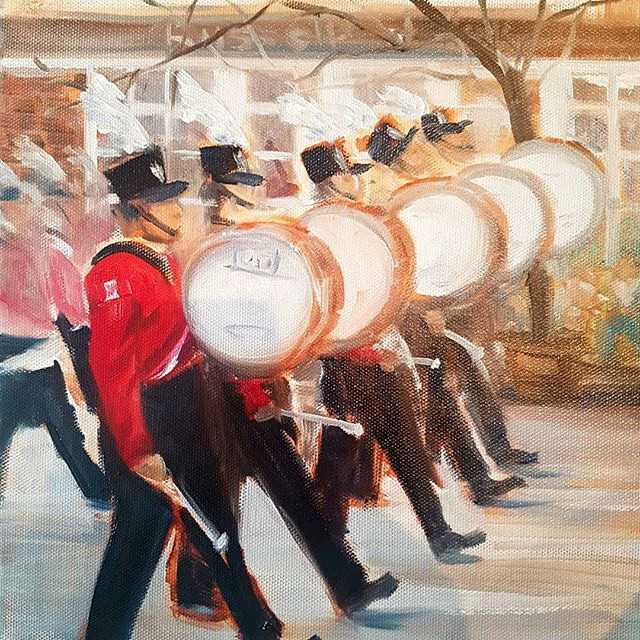 "Plein Air: Then and Now at Niagara-on-the-Lake"
Participants will learn to paint en plein air outside the Officers' Quarters and various other locations on the grounds of historical Fort George. All levels and mediums welcome. "The Magic of Watercolor: Art and Spirit in Ireland"
Melissa Harris, internationally published artist, author (99 Keys to a Creative Life) is known for her loose, expressive style. She holds an MFA in Painting and a Fulbright Grant in painting. With over 30 years teaching experience, Melissa helps you to bring soul into your watercolors. She will help you build a solid foundation including color, composition and paint handling - or help you refine existing skills. Daily demos individual instruction. No previous experience necessary. You may simply sketch in watercolor in your journal. Experience the beauty of emerald green Ireland in its’ best season. Meditate and paint plein air at sacred sites to connect with the spirit of the land and encourage your creative visions to emerge. "Loli Alvaro, Acrylics in Spectacular Spain"
A wonderful opportunity to work alongside Loli Alvaro, who will put everything into this workshop. Loli will eagerly share with you the principals of her own personal style which fully expresses her inner feelings for painting. Whatever your level, Loli's open, enthusiastic style of teaching will open your eyes to her concept of semi-abstract acrylic painting. During this wonderful week you will be shown basic concepts, paint properties, styles and color mixing. Using these easy explanations you will have an understanding of light and shadows, learn the sequence of planning, discovery and implementation. Allowing you the opportunity to add your very own style and interpretation. Ideal for beginners or those wishing to try something new in this medium. 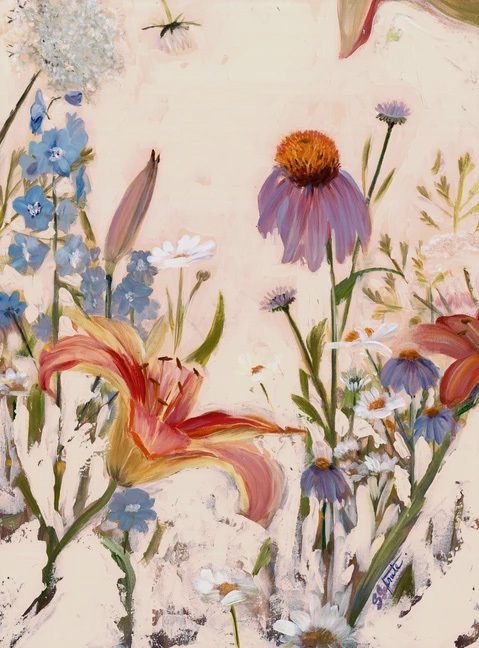 In this workshop you will create a botanical study, learn brush stroke techniques, composition and also work on a second painting from a beautiful still life. Acrylic mediums, gels and pastes, archival paper for study and extra photo references will be provided for this workshop! *Participants are asked to bring a favourite flower to class. "Painting Mediterranean Villages: Watercolor Painting Workshop"
Dreaming of painting in the South of France? You can make your dream come true. Join Kathy Rennell Forbes for daily painting demos and hands on instruction in the incandescent light in the Mediterranean Villages of Southern France. You will learn about composition, mixing colors and capturing the outdoor landscapes of the great masters. We will travel light with just a small bag of watercolor supplies and journal to paint your golden memories while also exploring this magical destination. Kathy encourages your own painting style while sharing her watercolor secrets. You will bring home a personalized journal of your discoveries that you can share with others and inspire you to paint larger versions back home. "Painting in Spain: Watercolor Workshop"
Join Vladislav (Vlad) Yeliseyev, AIS, NWS, for 8 days in Barcelona and Costa Brava! This pristine coast shore is the perfect environment where color and light meet together to produce stunning results waiting to be expressed on watercolor paper. Vlad is an academically trained master watercolorist who will show you how to quickly capture the essence of the scenery with a dynamic and powerful impressionistic approach. His individual approach to teaching is designed for artists at all levels. Join us for plein air painting in beautiful Spain! "Deluxe painting retreats in 17th century château in SW France"
Imagine painting in a 17th century château in the middle of wine country in rural France. Relax, unwind, discover and deepen your artistic creativity. All-inclusive, quality accommodations, outstanding cuisine, art materials, sightseeing, and instruction. Small classes for personal attention with the insightful guidance of International artist Mike Snow. Discover untapped painting skills and grow your artistic talents with this intense immersion into creativity. "Art Trip Italy and the Venice Biennale 2019"
Ten days visiting the major art sites and art museums in Rome and Florence as well as the 58th Venice Biennale, the world’s most prestigious contemporary art exhibition. A cultural and fun trip in the company of an experienced art historian and a small group of like-minded adults. Price of CAD 3600 (around US$ 2790 as of March 2018) includes ten-night double accommodation, complimentary breakfast, two-day entrance to the Venice Biennale and entrance to all museums and sites on schedule (Palazzo Massimo, Sistine Chapel, Galleria Borguese, Uffizi, Palazzo Pitti, Modern Art Gallery, l’Accademia, etc.) all ground transportation as a group (train, bus, subway, vaporetto) to all cities and sites on schedule, daily art talks and discovery walks. "Watercolor Adventures in France with Steve and Janet Rogers (Week 2)"
This is the second week of this exclusive workshop in the beautiful area of Southwest France - the Lot Dordogne Region. The gorgeous Domaine du Haut Baran will be our home - a restored 18th Century Country Manor Home with modern accommodations. Trip will include transportation to and from airport, painting and touring sites including unique villages. Our host, William Haas speaks fluent French and will accompany us throughout. Rosalie will delight us with her gourmet French cuisine! A modern studio complete with French easels, tables, stools, AC, etc is available 24/7. Also includes individual attention from Janet & Steve as well as class instruction/demonstrations in studio and on site. Limited enrollment in this enchanting fairy tale setting! I invite you to draw, learn and celebrate the joy of slow art with me in Central Italy (Tuscany & Umbria), one of the most artistically inspirational places in the world. Learn to "see" more acutely, gain control of the exciting world of color, make your sketchbook your companion and use it as a tool for meditation. Let me share with you the beauty and incredible art history of this "Cradle of the Renaissance", while we learn to use our sketchbook as a way of life. 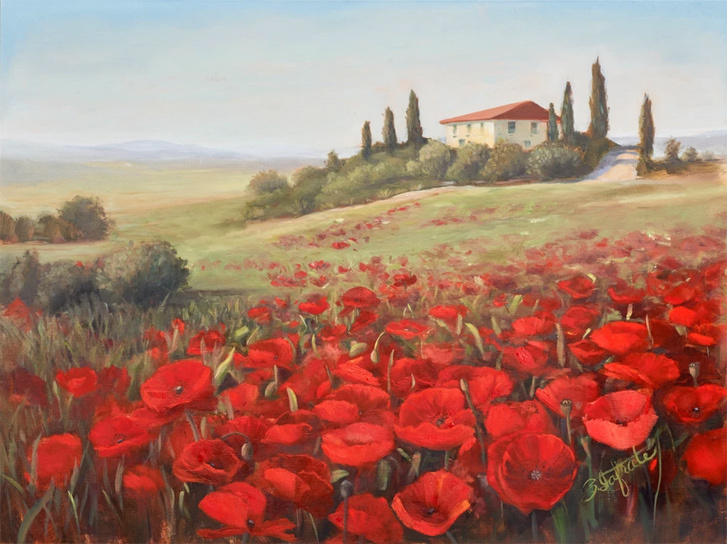 Diane Cardaci is the author of over 6 art instruction books and has been teaching and sharing her knowledge of the fine art of drawing and painting for over 30 years. "Art Adventure in San Miguel de Allende, Mexico"
Experienced painters and facilitators, Mexican muralist Fernando Gonzalez and Romanian artist and art therapist Cristiana Marinescu, offer an unforgettable week of painting and sketching vacation in San Miguel de Allende. You will incorporate sketching, photography and studio painting from your own sketches and photos! Great adventure for your first visit to Mexico or San Miguel de Allende. This little town is full of excitement, music, color, shopping, restaurants, parades and joy! You will work at your own speed, focusing on what is most important to you: technique, color mixing, composition, loosening up, studies for larger paintings, capturing the moment. Only 6 students per workshop. "Painting in Belgium: Watercolor Sketching Workshop"
Join me for a week of sketching with watercolor. We’ll enjoy the free-flowing and colorful nature of watercolor at its best while sketching and having fun! I’ll help you develop observation skills, color awareness, simple design principles and learn about light and shadows. We’ll investigate various techniques, sketching tools, and approaches to watercolor. Enjoy time with fellow artists, instruction and friendly critiques. Bruges, the “Venice of the North”, will capture your heart with its medieval architecture surrounded by numerous canals. Painting in Bruges, the Capital of the Flemish painters, is a one of a kind experience. Besides painting the endless vignettes Bruges has to offer, you will also experience Belgium’s specialties like chocolate, lace making, beers, diamants and waffles. The joy of painting resides in each of us! All you have to do is let loose and let go of pre-conceived ideas. On the other hand, each abstract painting has a basic structure. You will learn to understand it and have fun applying it. This workshop will enhance your creativity, give you an outlet to relieve stress, help experienced painters loosen up, but no experience is needed to give yourself the gift of play and create your very own beautiful art! Discover another side of yourself! We offer step by step instruction, in a small group setting so you can receive individualized coaching. Work with internationally collected painter and art therapist with 30 years of experience Cristiana Marinescu. Join Kristi in magical Provence! When you paint a place, you really get to know it. Plein Air is not just a record of what you see but how that place makes you feel. Learn how to tell your story in watercolor. We will cover basic techniques which will give you the language needed to communicate visually. Design & composition is one of Kristi’s strong suits and she will demonstrate on site with lots of individual help as needed. We will strive for a relationship with the medium, learn to trust what the paint does on its own and recognize those “happy accidents” when they occur! "Sue Bradley in Spectacular Spain"
A wonderful opportunity to spend five full days, seven nights, in a small group workshop under the direction of Sue, who will tutor in watercolor and mixed media techniques, ideal for the progressive beginner. "Las Orquideas" once again opens its doors to Sue. This workshop will encourage you to use the wonderful surroundings and incredible light of rural Valencian countryside localities, to create pictures, using not only traditional ways of painting but experimenting with more exciting but easy alternative techniques. This area will be your inspiration when you marvel at the ever changing light brings colors to life. Join us on this exciting adventure where like artists through the ages you will not fail to be inspired. "Plein air painting in Central Hungary"
A 4-day painting holiday in Central Hungary. Improve your plein air painting and sketching skills in breathtaking scenery. This course includes a trip to Esztergom, a scenic Danube Bend boat trip, a Danube dinner cruise and wine tasting session in the Etyek wine region. All this for only €399! "First ever Outlander Art Experience"
Sketchbook journaling tour of Outlander locations in Scotland. Join us on this 10-day, first ever Outlander-themed art tour and really connect with the land where Jamie and Claire travelled through centuries and lived their love that knew no time nor borders. With your sketchbook journal in hand, feel the creative flow as we visit Doune Castle (Castle Leoch), Culross (Cranesmuir), the Battlefield of Culloden, Jamie’s Printshop in Edinburgh and much more. The artist-guided tour also includes a printmaking workshop at Highland Print Studio in Inverness, some creative writing and a session with a Scottish herbalist. A truly authentic experience from which you will leave inspired and refreshed. "Capturing the Soul of Le Marche"
Join International Watercolor Society Master Artist Zan Barrage on an unforgettable week of watercolors and fun. Picture yourself among the sights and sounds of beautiful olive groves, vineyards and centuries-old buildings. Let’s paint the winding old streets and the rolling hills all bathed in the warm and vibrant sunlight of old Italy. My goal is to guide you to loosen up and express yourself as you paint in a relaxed and inspiring atmosphere no matter what your stage of experience is with watercolors. I have been teaching watercolors for over 10 years leading classes and workshops in Canada and around the world. Watercolor is my language, and I have been painting in the medium for more than 30 years. "Igor Sava in spectacular Spain"
This is a wonderful, unmissable chance to spend a week with two of the best watercolor painters around today. Igor focuses on cityscapes. His approach combines deft control of edges plus visual charm of freely mixed washes. His architectural subjects carry a feeling of atmosphere and light, as well as material textures. Ekaterina emphasises on the delicate more detailed control of her subject. "Every flower tells a story", her still life's just come to life on the canvas. Expect to be captivated and astonished at the versatility of these two outstanding, vibrant and enthusiastic artists. Join this artistic journey in rural Valencian countryside and towns, with plein air and studio studies. "Jason Yeoh in Spaectacular Spain"
A wonderful opportunity to work alongside Jason, he will, as usual put everything into this workshop, which includes a ten night stay. Jason will eagerly share with you the principals of his own personal style which fully expresses his inner feelings of a scene. Whatever your level of experience, Jason's style will open your eyes to semi abstract watercolor painting. Jason will explain his procedure of blending first washes while reserving the white areas, then adding color for creating depth, increase the depth with darker shapes. Finally adding the fine, thin, curly lines, which make his paintings so "Jason Yeoh". Using this effect will give you the opportunity to add your very own style and interpretation. "Watermedia Workshop in Santorini, Greece"
Discover the majestic island of Santorini with George Politis AWS, SDWS, RI. Small and large format, painting in watercolour and other watermedia like watercolour pencils, acrylic inks and collage, learning techniques and how to see and find a subject (often far from the obvious). Boost the creativity by new inspirational ideas, winning techniques for an once-in-a-lifetime experience. Pure watercolour to mixed watermedia, realistic to abstract painting. Emphasis in compositional ideas and eye catching schemes. All inclusive (course, hotel, all 3 meals per day, transportation in Santorini during the workshop). Up to 12 artists, all levels accepted. "Plein Air Painting by Lake Wolfgang in Austria"
Only a short distance from Salzburg lies the impressive stretch of Lake Wolfgang in the Austrian Lake District. Some 10 km long, lined by charming settlements and surrounded by the Salzkammergut mountain range it makes an idyllic location for our 2-day plein air painting workshop. We visit the very popular St Wolfgang and the more tranquil Strobl nearby where we paint and sketch in this alpine paradise. Led by instructor Ibolya Taligas who specialises in watercolour painting and will do demonstrations as well as offer practical advice on painting outdoors. €150/person with flexibility to book your own accommodation and take as many refreshment breaks as you wish. Small group, lots of individual attention. "Plein air watercolour painting at Lake Hallstatt in Austria"
A 2-day plein air watercolour painting workshop by the picturesque Lake Hallstatt in Austria. The charming village of Hallstatt is well-hidden between the Hallstatter See and the imposing peaks of the Dachstein mountains. A real gem and a must-see location for any artist. Come and paint the most amazing water reflections of a place that's considered one of the most photographed in the world! "Olga Litvinenko in Spectacular Spain"
Dalvaro Art gives you this wonderful opportunity to enjoy a week of watercolor painting with the wonderful Olga Litvinenko. You will have a fantastic programme of learning while mixing in with the Valencian rural life. This workshop will include value exploration, composition, color theory and color mixing in addition to general sketching techniques. Olga will show you how to photograph as a base for painting in the studio. You will see how to use Olga's simple technique of creating the most successful sketches for painting while using the reference photos to include accurately the main objects of your chosen scene while leaving out the distractions. Plein air and studio work included in this fabulous week. "Painting in the French Alps: Watermedia Painting Workshop"
Come explore the magnificent French Alps with us! This is a mixed-media workshop, and I will demo in watercolor and/or acrylic with occasional dabblings into collage and texture. We’ll work both on location and in the studio. Our days are relaxed and informative (with lots of good food and laughing in the mix). If you are a first-time plein air painter (and afraid), you’ll find it painless! Advanced painters will discover new techniques and creative solutions with color & design, which will move your work to a new level. There will be demos, hand-outs and personal attention. The best part is our camaraderie, learning from each other, sharing our adventures and painting incredible memories. "Painting in the French Alps: Watercolor Painting Workshop"
Come explore the magnificent French Alps with us! Each day will include demonstrations of elements of landscape painting with lots of personal instruction. Develop your ability to look at the complexity of the scene in front of you, and focus your vision so that you can design a good painting that speaks of the essence of the scene, rather than merely reporting the things in it. Every painting should have a concept, and your composition, colors and techniques must work towards bringing your concept to life. "Other Lands Other Sounds 2019, Course on Collaborative Arts Practice"
An intensive residential course bringing together visual artists and musicians to work collaboratively over ten days, creating new works combining photography, moving image, music, and sound art. Surrounded by the beautiful mountainside scenery of Gois, Portugal, Other Lands, Other Sounds 2019 offers a supportive environment for practitioners (professionals, amateurs, students) who want to develop their practice through cross-arts experimentation and collaboration. Musicians will work closely with composer Filipe Sousa, exploring devised composition, improvisation, and collaborative music-making processes. Visual artists will work with Beatriz Martinez, exploring photography, video, and how to merge aesthetics and concept into multi-disciplinary projects. Intensive work sessions will be balanced with nature hikes, sightseeing, swimming, visiting local cafes and enjoying the relaxed pace of Portuguese life. "Mixed Media Acrylic Painting Workshop in Amsterdam"
Create whimsical and wonderful flowers using acrylic and mixed-media. This workshop will be held right in the centre of Amsterdam where we focus on flowers while creating contemporary mixed media work. Starting from construct drawing to final painting we will bring collage and other mediums into our painting. Participants will learn how to use effective brush stroke and palette knife techniques, how to mix beautiful colours and create an interesting unique composition. Some materials provided. For material list and information please email, link below. Join me in Tuscany for a truly memorable week! The most enjoyable painting I do is when I paint outdoors. There is an intimacy and sense of “being there” that only occurs when you take the time to slow down and record your surroundings in watercolor- and what surroundings we will have! We will tour daily with an easy schedule of demonstration, one on one critique, and group discussions designed to build your confidence and ability alike. You may paint or explore or do both on any given day. I will be there to guide you through my approach to painting en plein air and help you take your watercolors to the next level! The course is limited to 12 students. "Pen & Watercolor Illustration in Tuscany!" Picture yourself sitting in an outdoor cafe in one of the piazzas, sketchbook in hand, immersed in capturing the life around you while enjoying a cappuccino. Let me share the techniques I use in my work using a very portable means of sketching - pen and ink and watercolor – to record the beautiful, sensitive lines of an old building or the bold strokes of a street scene. Learn to zoom in on the important elements when working in the field to create interesting compositions and lasting memories with texture and rich washes of color! "Chateau Marouatte (Plein Air Sketching Retreat)"
We will live in a castle in the Dordogne region of France! From beginners (with at least some minimal experience in sketching or watercolor painting) up to advanced levels are invited. You don't need any experience in painting plein air (outdoors). Let me guide you through it...we all start somewhere and I'll make it easy! "Traveling Through Watercolors - Naples/Sorrento Coast - 2019 Edition"
The Watercolor workshop participants will be immersed in study of watercolor in the ideal setting for the medium. Painting fundamentals, technique and color will be explored as well as the study of drawing, specifically how tone, brush stroke and line can convey form, space, light and texture. The course will hold group critiques to provide feedback and discourse on each participants’ works. With just few materials needed for plein air painting various sites can be explored easily. At the end of the program, it will be arranged an exhibition in Naples, with the artworks created by the participants during the workshop. Lodging, meals, guided tours, transfers, special experiences are included in the price, as scheduled in the program. "Joanne Boon Thomas in Spectacular Spain"
Las Orquideas, a peaceful and relaxing art retreat in the Valle D'Albaida, Spain. Stay in a wonderful villa set amongst beautifully landscaped gardens, designed specifically with the artist in mind. Enjoy a unique week of watercolor and brusho painting, in plein-aire, on location and within the gardens, coupled with detailed studio studies. Be guided through a loose style of painting, sharing invaluable tips and techniques, leaving you confident and inspired. With numerous demonstrations, one on one guidance. Whatever your level you will take some new knowledge away from this inspirational week. With the bonus of instruction in Brusho painting you will be amazed at the incredible visual effects to enliven any painting to the next level. I love France, painting in France, have been there numerous times and would enjoy having my students join me in Provence. We’ll be painting on location, capturing the light and color, no need to be an expert. All students, regardless of skill level are welcome, we’ll have a wonderful time. I will be demonstrating as well, so students can watch how I find compositions and arrange my subject. I will help all students get accurate drawings, and realize how proper values help create mood. We will use a variety of techniques, from realism to more impressionistic styles. For my more advanced students, design and composition will be addressed. 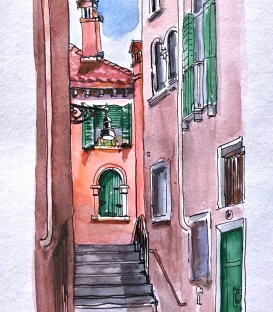 "Painting in Tuscany: Travel Sketching in Watercolor"
The best thing about our itinerary for travel sketching in Tuscany is the sheer breadth of subjects to choose from — that, and the near-magical light and colour of this unique part of the world. In our week together I’ll teach you techniques for capturing the close-up and colourful in villages and towns, as well as the distant and scenic in Italian landscapes. We’ll sketch, rolling hills with vineyards, olive groves, hillside towns and panoramas. In true travel sketching tradition, we’ll pack light — carrying a small bag for art materials and a folding stool. This workshop is designed to give you confidence sketching wherever you are. We’ll work spontaneously, and I’ll show you how to keep your watercolour sketches fresh and colourful. "Sketch Florence, Italy with Norberto Dorantes"
Grab your sketchbook and a palette of watercolors! Join architect and urban sketcher, Norberto Dorantes, for a week of painting in downtown Florence, Italy. He will start in the studio to instruct on some important basics and then you'll hit the streets with Norberto showing you how to capture the people, cafes, iconic sites and side streets of this beautiful Renaissance city. "Painting the Colors, Textures and Horizons of Italy"
Come on a fabulous painting and touring excursion in Le Marche, Italy. This area is a cultural and creative wonderland. We’ll focus our eyes on the stunning countryside and villages. This is an abstract painting class, although students’ work could be semi-realistic. We’ll study the contrast and tonality of the various textures and colors of the rich landscape and structures. We’ll work in acrylics, using fluid and textural mediums to create both visual and actual textures. We’ll study the horizon lines in our photos and build our paintings there. We’ll explore our emotional response to the beauty of the area and paint from that perspective. A few writing exercises will help bring to the surface our responses to our travels. "Painting in Tuscany: Watercolor Sketching Workshop"
Tuscany is a dream come true for Watercolour Sketching! We will be a lovely small group where I can work with you individually to ensure that every aspect of the experience meets your expectations. There will be plenty of opportunity to have your questions answered and have fun along the way. My approach to teaching is positive and encouraging to give you confidence. The subjects covered will be truly inspirational – including Italian buildings, landscapes, local scenes and sketching the everyday such as your lunch. 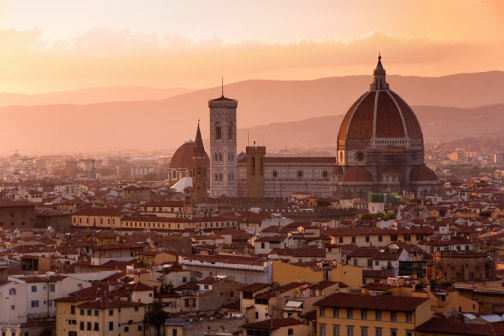 Return home armed with new skills in watercolour and sketching as you will have learnt how to sketch confidently, understand paint consistency and application and mix wonderful glowing colours to capture the magical light of Italy. "Painting Under The Tuscan Sun"
Join us for a fabulous painting and touring excursion in Le Marche, Italy. This area is a cultural and creative wonderland. In addition to learning paintng methods and techniques from Dennis, we will explore with an art historian, tour historical villages, visit the spectacular Palazzo Ducale and Raphael’s childhood home, enjoy a wine tasting at a small local wine producer, have meals together, and go on a truffle hunt! "Painting in Tuscany: Watercolor Painting & Journaling"
We look forward to returning to dreamy Tuscany and sharing the adventure with you! We’ll explore the inspiring countryside and charming villages as we make the most of our painting time together. Experience daily demonstrations, personalized instruction, and, encouraging support with Theresa and Cindy. We show you how to design and simplify your subject, draw confidently, jazz up your colors, paint with serendipity and experiment with new techniques. Enjoy creating colorful paintings with an emphasis on your own unique point of view. "Les Darlow: Pastel Painting in Spectacular Spain"
On this pastel painting workshop, Les will give intimate, small group, personalised teaching. Showing you his concepts for improving your artwork, by using pastels expressively and creatively based on feeling, light, energy and movement. Les' love and passion for weather and landscapes, his paintings always reflect this, these perceptions he passes on to his students. It is Les' belief that you can paint the same scene over and over as the light and weather changes the subject constantly. He will demonstrate how clouds continuously change colour and reform to make stunning skyscapes, which are a key to impressive landscape paintings. Understand connecting to your subject, learn to love pastels in a way you never thought possible. "Gourmet painting retreats on the Southern coast of Spain"
Break down walls and barriers, expand your freedom of expression. Whether your are a novice or an experienced artist, this retreat will bring you countless new ideas and help move your creative spirit forward. Retreats take place at the southern-most tip of Spain next to the National Park del Estrecho, with stunning views of the Mediterranean sea and Morocco. Lodging, meals and wine are included, and retreats are limited to 4 participants to provide ample one-on-one time with the teacher. Meals are tuned to the needs of the students, with a strong emphasis on Mediterranean cuisine using only the best fresh local ingredients. All supplies are provided. Discounts for early booking. "Essence of Place Photography Workshop Retreat at Marouatte Castle"
"Learn the secrets of abstract painting in Tuscany Italy"
I am thrilled to return for another trip to Italy where we will be pampered, inspired, wined and dined in true Italian hospitality. We begin our journey exploring the hills of Lucca and our beautifully restored farmhouse. Your interaction with your surroundings will influence the colors and textures in your paintings. The mystery evolves with collage layering techniques and veiling using acrylic mediums. I will share with you my formulas and techniques for creating textures and building layers. We will also incorporate local materials into our mixed media work and maybe even add a transfer. You will learn innovative painting techniques, but more importantly you will learn fresh new ways to see! "Michal Jasiewicz: Watercolors in Spectacular Spain"
An incredible opportunity to spend one week in a small intimate group workshop with this master of watercolor techniques and winner of numerous awards around the world. The art retreat of "Las Orquideas" opens its doors once again to Michal. Learn how to capture the real atmosphere of a street scene by using several shades with coolness on one side and warmer colors towards the other, showing the light and shade. With plein-aire painting in the rural countryside and towns, studio work and demonstrations in the beautifully landscaped gardens overlooking the Valley of Albaida. All meals and complimentary airport transfers are included in this relaxing, invigorating and inspiration week. An amazing and unmissable art opportunity. "Watercolor, Fun and Free 2019 Painting Workshop Cruise - Transatlantic"
Join us for the adventure of a lifetime. Karlyn Holman and Art in the Mountains invite you to join us on this 19-day art adventure from Copenhagen, Denmark. Karlyn will provide instruction, demonstrations, individual help and critiques on the days at sea so you can enjoy your off-shore excursions with your companion(s). No on location painting experience is necessary. Karlyn will teach plein air techniques, as well as fun and free approaches to watercolor. Enjoy travel adventures with other artists without hauling all kinds of equipment. We will paint in the comfort of the ship. Karlyn has taught more than seventy-five international workshops and feels that painting and travel are valuable learning experiences. "Awakening Your Creative Soul in Costa Rica"
I invite you to join me on this beautiful, inspiring and nurturing adventure for awakening your creative soul. We will have the entire Ahki Resort near Nosara for our small group. A true retreat destination, intentionally created for group work to support your overall body, mind & soul. We will work with art, music, movement and inquiry to nurture your creative spirit. “Your art will be found in the hidden corners and crevices of your soul. It won’t hit you over the head, it will whisper your name. Learn to listen and see with fresh eyes. Expand your perceptions and invite your muse to join you in a grand adventure.” -excerpt taken from Awakening Your Creative Soul by Sandra Duran Wilson. "Inspiring painting retreats on the Southern coast of Spain"
Break down walls and barriers, and expand your freedom of expression. Whether your are a novice or an experienced artist, this retreat will bring you countless new ideas and help move your creative spirit forward. Retreats take place at the southern-most tip of Spain next to the National Park del Estrecho, with stunning views of the Mediterranean sea and Morocco. Lodging, meals and wine are included, and retreats are limited to 4 participants to provide ample one-on-one time with the teacher. Meals are tuned to the needs of the students, with a strong emphasis on Mediterranean cuisine using only the best fresh local ingredients. All supplies are provided. Discounts for early booking. I have been a practicing artist for 30 years with years of experience teaching Advanced Art classes to students in the Los Angeles Area. I have been living in San Miguel de Allende for the past 5 years. I own and exhibit my work in Galeria San Francisco and I offer classes working in the studio of my sun filled gallery over looking the Jardin and the Parroquia in beautiful San Miguel de Allende. "Intimate painting retreats on the Southern coast of Spain"
"The Portrait and The Figure"
Picture yourself painting and touring with internationally acclaimed watercolorist, Mary Whyte. Mary will guide you through the techniques of planning your compositions, drawing, mixing color and creating great backgrounds. She will show you how to work with the model, avoid mistakes and give personal critiques and great tips for marketing your work. Enjoy lots of painting action, one-on-one instruction, wonderful meals and wine, and Italian activities! Come, explore the Amalfi Coast, visit Capri, take in local museums and more. We have a full itinerary with you in mind so don't miss this workshop of a lifetime for travel enthusiasts and all levels of artists. Mary’s work is in many corporate and museum collections, and has been featured in many magazines. Join us for a travel and painting adventure of a lifetime. Karlyn Holman and AITM invite you to join us on this 16-day art adventure from Singapore to Tokyo. Karlyn will provide instruction, demonstrations, individual help and critiques on the 5 days at sea so you can enjoy your excursions with your companion(s). No on location painting experience is necessary. Karlyn will teach En Plein Air techniques, as well as fun and free approaches to watercolor. Enjoy travel adventures with other artists without hauling all kinds of equipment. We will paint in the comfort of the ship and use our "off of the ship time" to gather photos and just have fun. Karlyn has taught more than 75 International workshops. Break down walls and barriers, and expand your freedom of expression. Whether your are a novice or an experienced artist, this retreat will bring you countless new ideas and help move your creative spirit forward. Retreats take place at the southern-most tip of Spain next to the National Park del Estrecho, with stunning views of the Mediterranean sea and Morocco. Lodging, meals and wine are included, and retreats are limited to 6 participants to provide ample one-on-one time with the teacher. Meals are tuned to the needs of the students, with a strong emphasis on Mediterranean cuisine using only the best fresh local ingredients. All supplies are provided. Discounts for early booking. "Capturing Tuscany in Watercolor: A Cultural Retreat"
Join Kim Minicheillo, a former Walt Disney Imagineer, for a 10-day cultural experience in Tuscany! Chef Karolina Lenart at the beautiful Casa Fiori, overlooking the city of Lucca, is hosting Kim. You will capture this rich area by sketching and painting en plein air in watercolor, and also experience the food, wine and history of the region. Never painted outdoors before? Let Kim guide through her process of simplifying the scene to record the impression of what is before you. Retreat includes: painting instruction and exploring daily, cooking class, wine tasting, music concert, accommodations, tuition, excursions, and most meals. Create life-long memories! 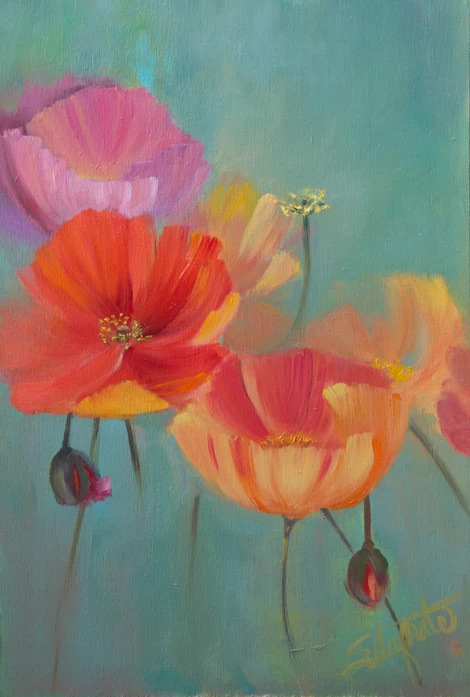 Kim will help beginners or intermediate painters take your painting to the next level. Non-painters are welcome. "Painting Tour in the Loire Valley: Perspective Sketching in Watercolor"
Join me for sketching on-location in the lush Loire River Valley! Embark on this eight day painting holiday which takes you on a journey of discovery through some of the most prominent chateaux and gardens of this famous UNESCO World Heritage Site. Your paintings will be inspired by some of the grandest and most beautiful architectural structures in France like Chenonceau, Clos Luce and Amboise. Learn to capture your experiences on paper, and more important, in your mind and heart. In this workshop, we’ll focus on quickly capturing buildings and spaces, as well as skies, trees and water. I’ll do lots of quick demos and provide hand’s-on guidance as you sketch and paint the beautiful scenes around us. Join us in Bruges, a splendid medieval city that is one of Belgium’s crown jewels. This Unesco World Heritage site is largely considered one of the most beautiful towns in Europe. Our instructor Lapin is a French illustrator, artist, teacher, and urban sketcher living in Barcelona. He has taught many workshops all over the world and records every second of his life through sketching. From whimsical portraits of the people he meets to bustling urban sketches, Lapin’s style is unique and will inspire you to dive right into the magnificent scenery around you. Lapin has already filled around 190 sketchbooks over the last 15 years and has published 25 books! "Travel Sketching in the South West of France"
Join me for a week of sketching with watercolor in the beautiful South Western France. We’ll enjoy the free-flowing and colorful nature of watercolor at its best while sketching and having fun! I’ll help you develop observation skills, color awareness, simple design principles and learn about light and shadows. We’ll investigate various techniques, sketching tools, and approaches to watercolor. Enjoy time with fellow artists, instruction and friendly critiques. Space is very limited (max 12 participants/workshop). "Watercolor Painting Workshop in the South West of France"
Join me on this wonderful trip to the South West of France! Having been there numerous times, I can say my love for this absolutely delightful region of France has stood the test of time. Medieval villages, narrow streets, friendly people, charming villages, scrumptious food and wine, everything conjured up in the image of Southern France awaits us! Join us as we explore and paint outdoors while enjoying the joie de vivre the region has to offer. If you’re looking for a very special painting holiday organized by a tour operator who is completely bi-cultural and bilingual, this is it. Since we will be a small group, I can work closely with each of you for a semi-private painting experience. "One Painting in One Day-Doors of San Miguel"
Easy and fun this workshop is for any lever of experience! Beginners and novice have being amazed by their results. 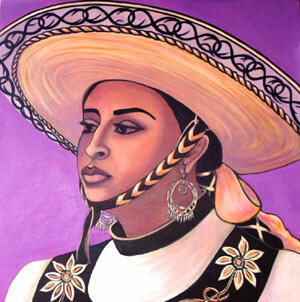 Working with acrylic paint we’ll pain a typical Mexican door starting with one of my professional photos or yours. Participants learn composition, color, painting strategies, practice drawing, painting, gain confidence and finish a unique original painting. As a professional painter, workshop facilitator and college instructor of 27 years, I have worked with individuals at all levels of experience. What is required is a spirit of adventure, open mind, willingness to make mistakes and have fun. If you consider having a painting day with your family and friends while in San Miguel, contact me in advance to make special arrangement. "5 Day Plein-Air Watercolor Workshop, Barcelona"
This is an opportunity to enjoy a 5-day plein-air intensive urban watercolor workshop in the heart of Barcelona. Professional artist Paul Raymonde and his wife Angela run this unusual city based painting course in one of Europe’s most beautiful metropolis'. The week's curriculum is carefully structured to cover all aspects of technique. Starting with simple value studies it rapidly progresses to full colour paintings. Classes are held in the mornings leaving visitors time to explore the sights and culture of Barcelona. All abilities are welcome. "Urban Sketching in Guanajuato, Mexico 1 to 3 days"
Expand your experience of any trip anywhere! Learn urban sketching, add a touch of watercolor or color pencil to enhance and capture the moment! This workshop it's offered per-request to groups 6-12 visiting Guanajuato, Mexico. Choose from one to three days. Take a historical tour, practice the basics of urban sketching 1st day, add the magic of watercolor the 2nd day, bring life with color pencils the 3rd day. Workshop includes historic walking tour, instructions, delicious lunch, photo opportunities. Led by internationally renowned artists with 30 years successfully teaching adults. "Urban Sketching in San Miguel de Allende, Mexico 1 to 3 days"
Expand your experience of any trip anywhere! Learn urban sketching, add a touch of watercolor or color pencil to enhance and capture the moment! This workshop it's offered per-request to groups 6-12 visiting San Miguel de Allende, Mexico. Choose from one to three days. Take a historical tour, practice the basics of urban sketching 1st day, add the magic of watercolor the 2nd day, bring life with color pencils the 3rd day. Workshop includes historic walking tour, instructions, delicious lunch, photo opportunities. Led by internationally renowned artists with 30 years successfully teaching adults.